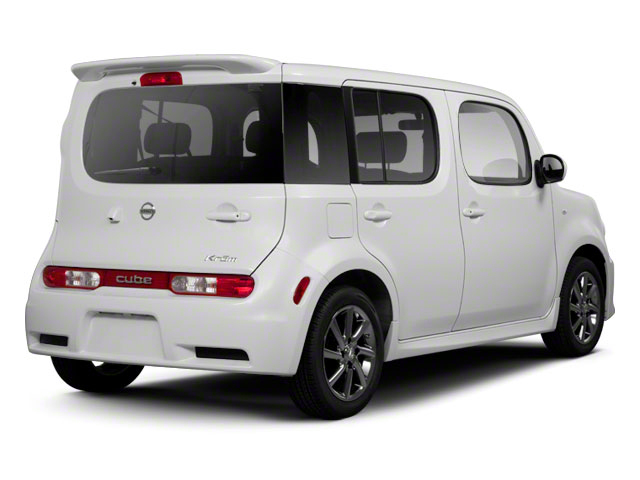 The Nissan cube is still only offered in S and SL trims but no significant changes for the cube in 2014. The cube is available in basic S and better-equipped SL trims, with S trims offered with a choice of either a 6-speed manual gearbox or a continuously variable automatic transmission (CVT), while the SL is only offered with the CVT. 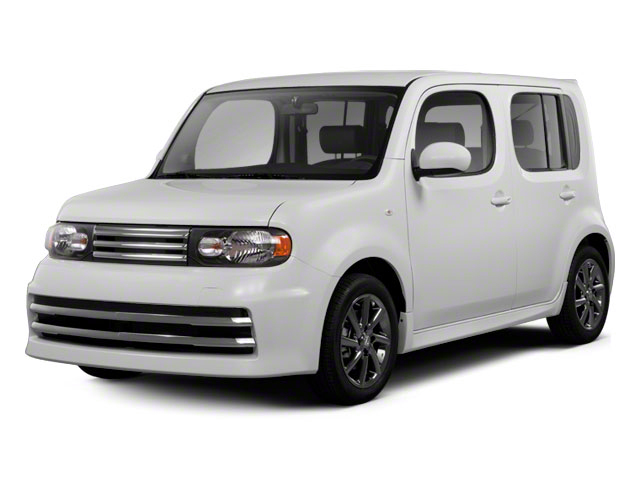 All cube models are powered by a 122-horsepower, 1.8L 4-cylinder engine, providing adequate and economical operation and EPA fuel economy ratings of up to 27 mpg city, 31 highway with the CVT. Thanks to a MacPherson strut suspension in front and a torsion beam setup in back, the cube rides mostly flat and handles like a softly sprung small car; speed-sensitive electric power steering helps this boxy vehicle maneuver around town. Its length of less than 157 inches is shorter than many subcompact cars. Stopping power is provided by anti-lock front-disc/rear drum brakes with Brake Assist. S models come with 15-inch steel wheels while the SL gets 16-inch alloys. The boxy shape of the cube on the outside pays off inside. The seating layout prioritizes passengers over cargo. There's a sofa-style sliding rear bench seat that can recline, as well as slide to three different positions, plus lots of storage spaces and a total of six cupholders plus 'shelves' at the instrument panel. Two interior color themes are offered: Light Gray and Black. 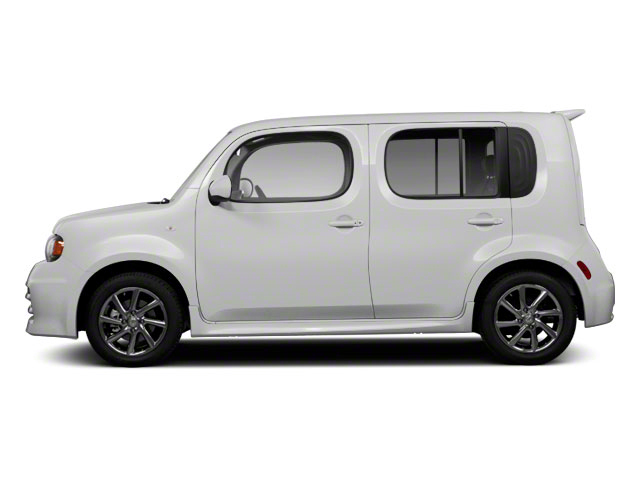 The cube has an unusual asymmetrical look that helps with outward visibility, as well as a side-opening hatch that Nissan says helps aid cargo access when in a tight parallel-parking spot. The cube manages up to 58 cubic feet of cargo space inside. 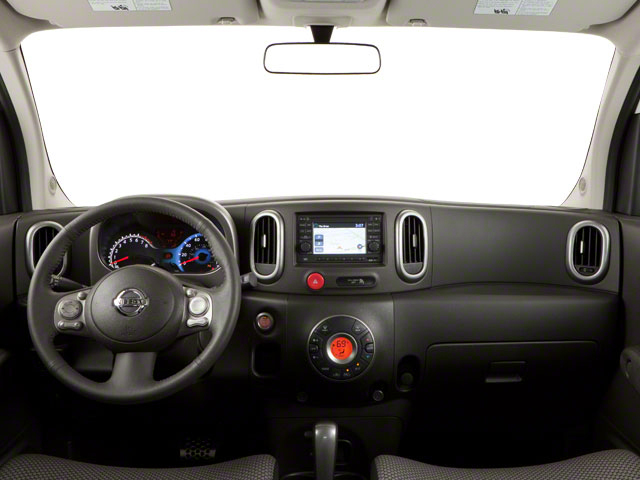 The cube S includes air conditioning, keyless entry, cruise control, cargo hooks and a 6-speaker CD sound system with auxiliary input. In addition to that, the SL gets an Intelligent Key system, push-button start, automatic climate control and rear heating ducts. Factory options are very limited, with the only significant one being the SL Preferred Package, which adds a navigation system with 5-inch touch screen, a RearView Monitor, a USB port, Rockford Fosgate audio with upgraded speakers and a subwoofer and SiriusXM satellite radio compatibility. There's plenty more room for extras, though--through the long list of more than 40 official accessories available at the dealership. Everything from special trims, wheels and lighting kits are offered, as well as a cargo organizer. Urban dwellers who have limited parking space and want something more stylish than the typical small car will probably find a lot to love in the cube. There's nothing that looks quite like it on the market. The cube sets itself apart with its asymmetrical design, side-opening hatch, sofa-like rear seat and water-ripple interior designs all make it quirky and endearing. Although the cube isn't the best pick for long highway trips, or for those who frequently have cargo to haul rather than passengers, it drives well in the city and rides comfortably, with a low sticker price and great fuel economy to boot.